Standard Industrie Lifttube optimizes the sealing of a conveyor belt. 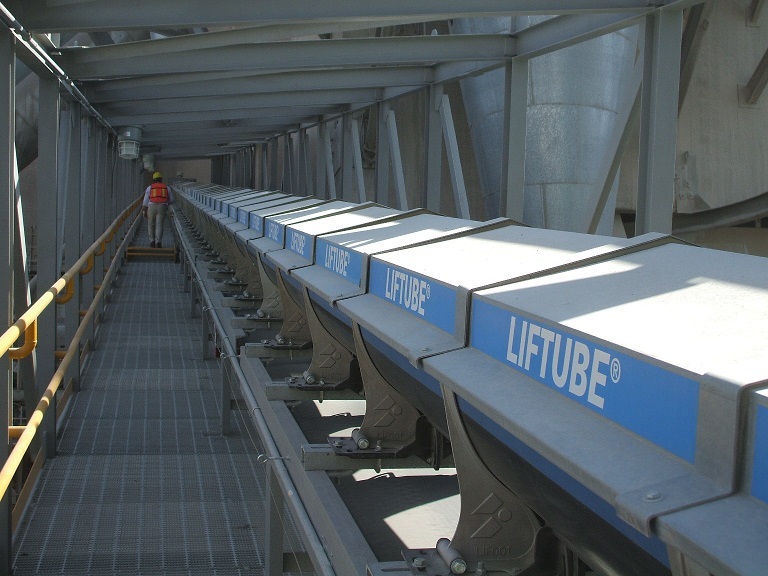 The Liftube optimizes the sealing of any conveyor belt (smooth or cleats, rubber or PVC, vulcanized hot or cold). It is a replacement to stations equipped with three rollers on conventional conveyors. These are standard 1-m modules that are scalable and easy to install on all or part of a new or existing conveyor, while keeping the belt, chassis, and motorization of origin. It is installed between the point of loading and unloading. Available in widths from 500 to 1400 mm, in high-temperature, explosive, food, or self-extinguishing versions, the Liftube avoids any contamination of the product transported with the outside environment. This seal-proof system enables easy tilting of the glide boards and the central roller for easy and minimal maintenance. Thanks to its pinch points protections the Liftube improves the working conditions of the operators.